To run the example Absence Request process in the Work Center, do the procedure in this topic. On the Work Center screen, click My Applications . On the My Applications screen, in the Search field, enter Absence Request. 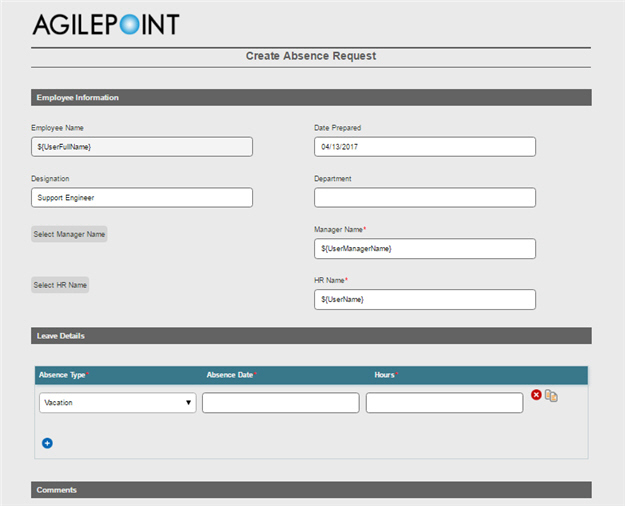 Click the Absence Request application. The eForm process instance opens in a new tab on your browser.